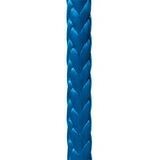 AMSTEEL® BLUE (Dimensions: 1/2" x 300', Eyes: 3" Soft, WLL: 6,120 lbs.) | Tallman Equipment Co., Inc.
Our in-house Samson certified splicers will manufacture each winch line to your exact specifications. Chafe gear, nylite assemblies, and thimbles available upon request. A 12-strand single braid that yields the maximum in strength-to-weight ratio and, size-for-size, is the same strength as steel. 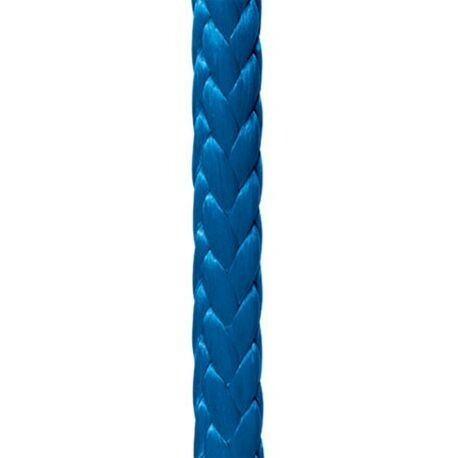 Amsteel® Blue is an excellent wire rope replacement with extremely low stretch, and superior flex fatigue and wear resistance. WLL ratio based on Samson Rope Minimum Breaking Strength.